The many faces of Hallie: Monkey Business! 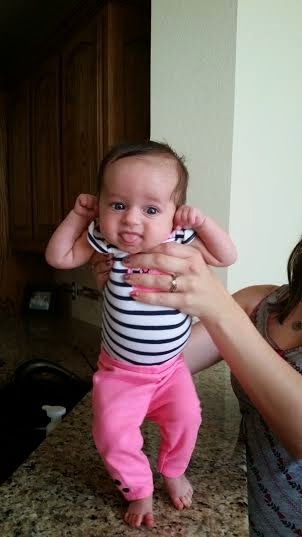 Nanny Nanny Boo Boo I make a better monkey face than you!!! Happy Friday everyone! I have been seeing this fun quiz all over, and I thought I would give it a go! If you would like to participate in this fun quiz, you can find a blank copy here. Don’t forget to link your post into the comments, I would love to see your answers!!! Here is the view to the right as you walk in. Here are some of the details that I love:1. In the left corner are 2 cross stitchings made by my mother, Hallie’s Nana.2. The black and purple finger paintings were made by Cleo and Sadie (the girls I nanny for) when they were younger. 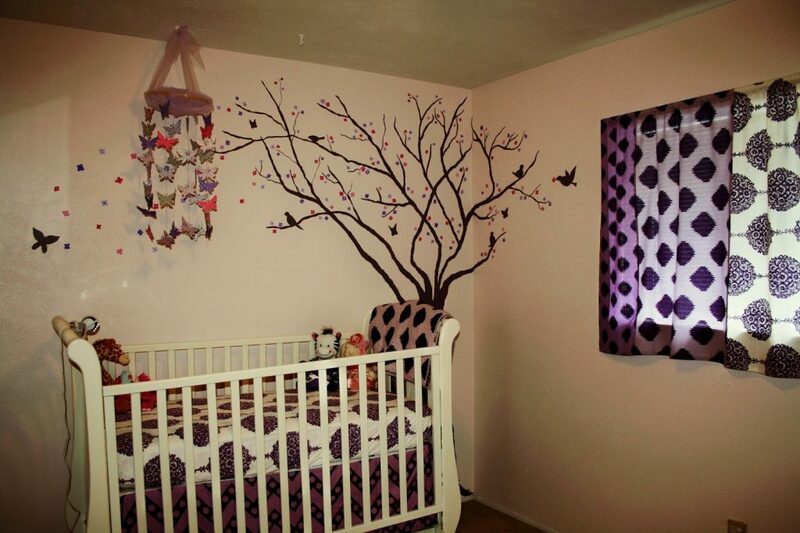 They match great though and I thought it would be a nice touch to have something special from them in her nursery.3. My best friend Joyce and I modpodged the letters of her name with scrapbook paper and added the little flowers and tulle.4. 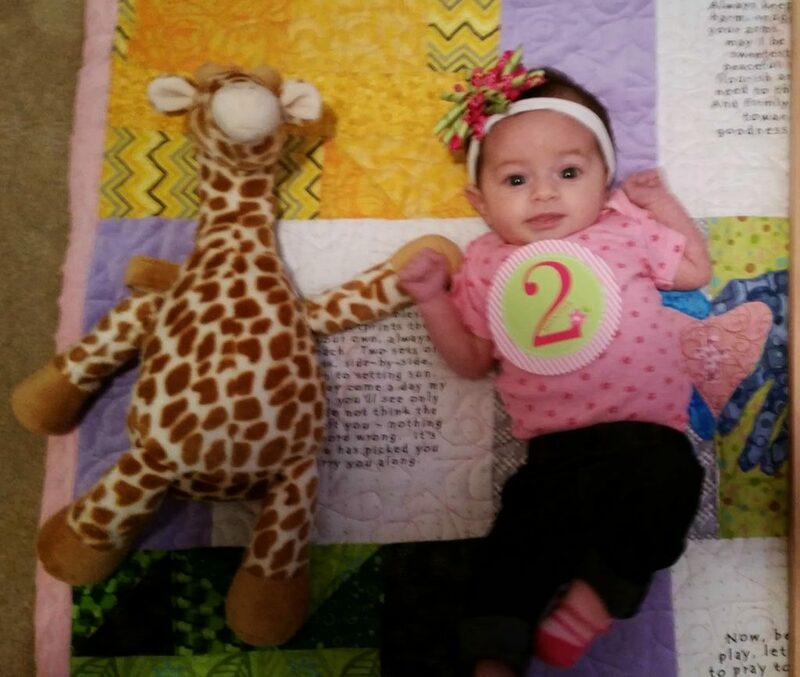 The beautiful quilt was made by Hallie’s Godmother, Jennifer. 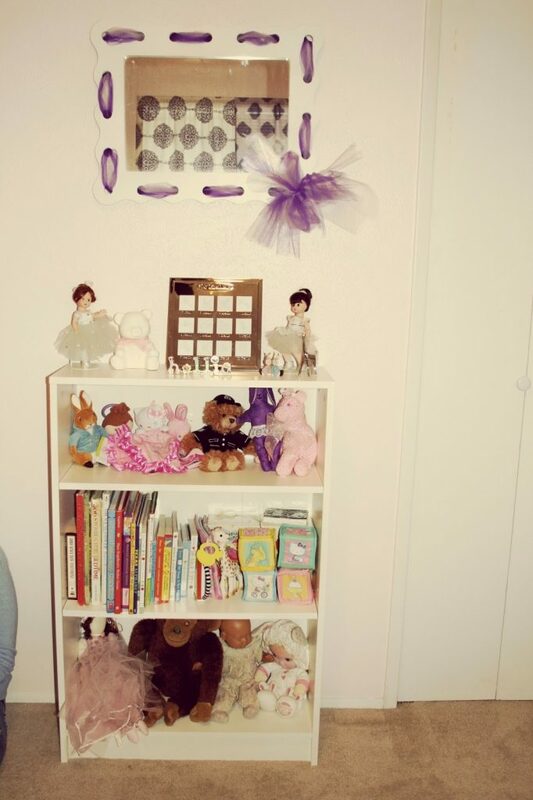 This side has ballerinas and the other side has a bunch of different colored fabric and Jennifer and her brother’s (Hallie’s God Father) hand prints in the middle with a cross. between. So beautiful! The changing table is from Babies R Us. The little purple baskets I got at….hold your excitement…The dollar store! SERIOUSLY! I keep socks, hats, and shoes in them. a.) I can display them nicely. b.) I can see what I am looking for…this kid has a ton of bows! 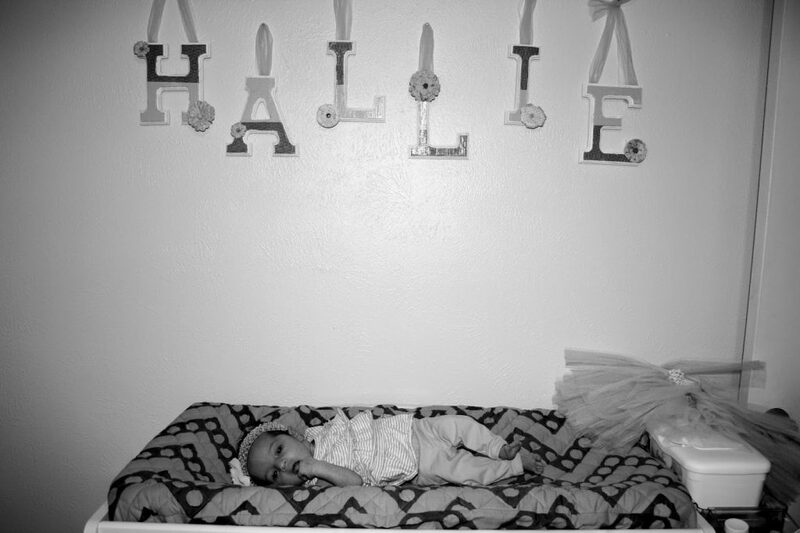 I love the pattern of Hallie’s changing table pad cover. It can be found at Land of Nod. 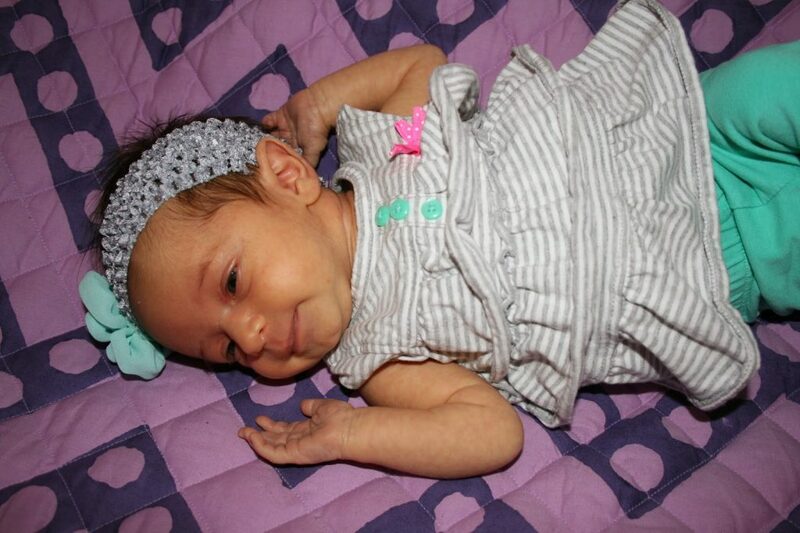 Looking back at these pictures makes me realize how BIG she has gotten! 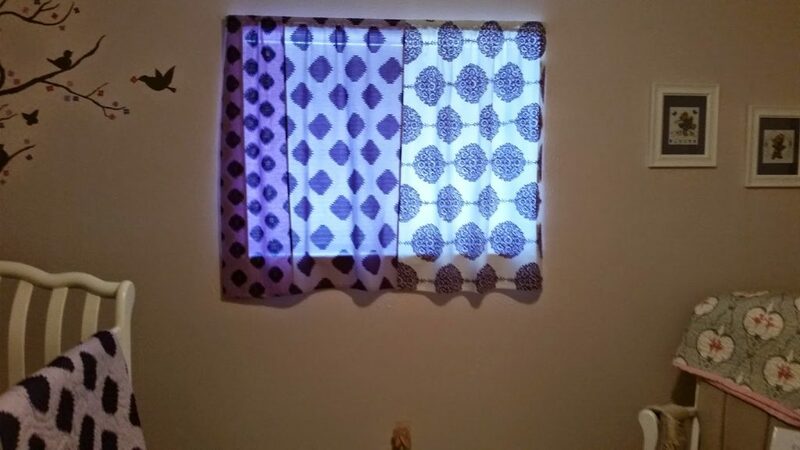 My mom bought the curtains from Land of Nod, but sewed them to fit our window. I fell in LOVE with this bedding from Land of Nod before we found out Hallie was a girl, and it made me want a girl even more than I already did!!! The crib was given to us by a family I previously nannied for…so sweet of them! 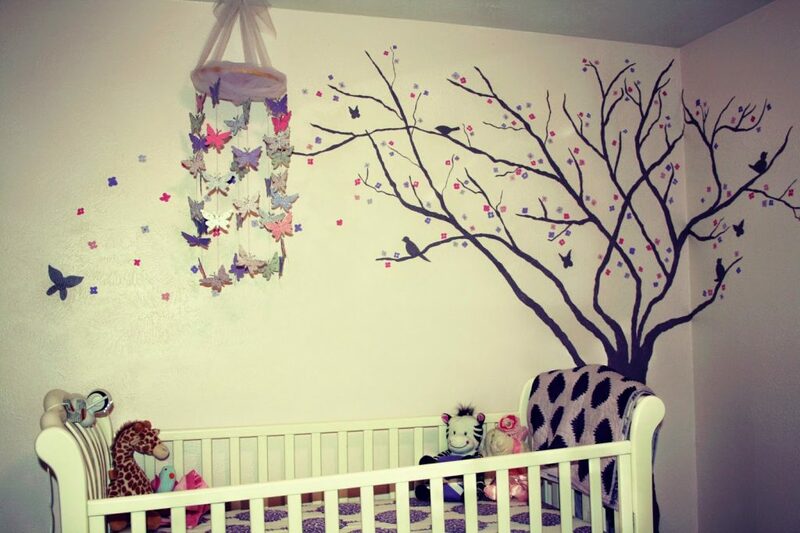 My mom, mother in law and I painted the tree, butterflies, birds and flowers. You can read about that here. Jennifer and I made the mobile, and you can also read about that here. Last but not least is her little Ikea bookshelf…though I already need another because our toy and book collection keeps growing!!! 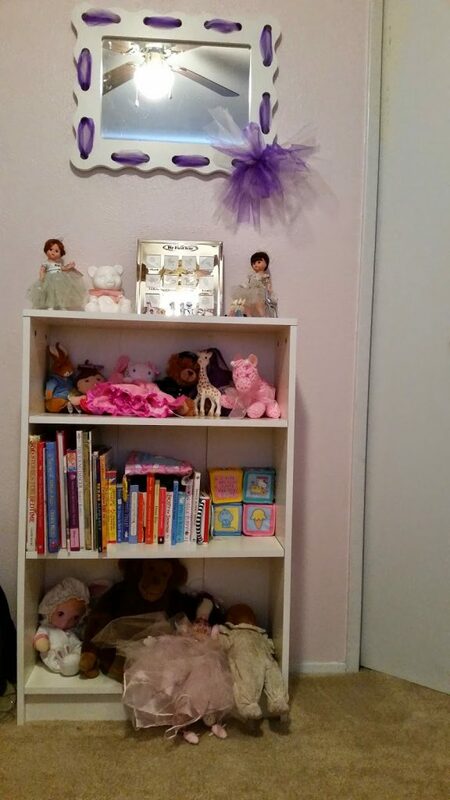 The Madame Alexander dolls and the dolls on the bottom shelf belonged to me when I was young and the Monkey was Christopher’s, which he named Mr. Peepers….love him! 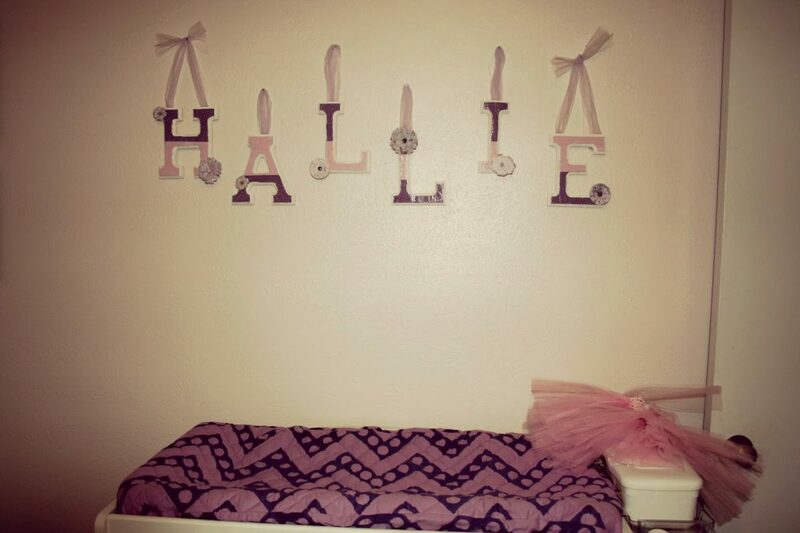 And That’s Hallie’s nursery! It’s my favorite room in the house! 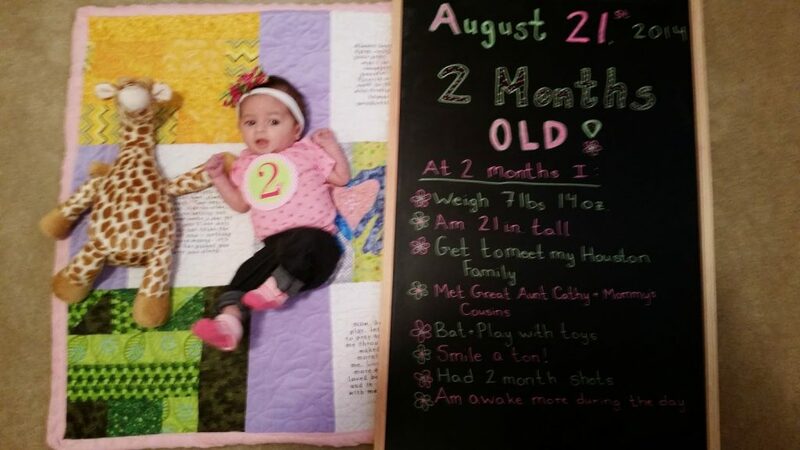 I love seeing nursery pictures! Share yours with me in the comments pretty please!!! I have watched so many other bloggers dump their bags and purses and each time I am itching to see what other mommies carry with them on a daily basis! So I finally decided to dump my diaper bag and give you a look as to what is on the inside! First off, when I decided to do this, I kept thinking about this scene from HIMYM and couldn’t stop giggling! It is an older design that I found new on ebay. The Coach Peyton collection diaper bag can be found Here. 2. It has a TON of pockets! Don’t believe me? Check out all the things I can jam inside! First off are my basics…the things I need no matter where I go, diaper bag or not! 1. My Juicy Wallet…it’s a little old, but one of my favorite things Christopher gave me while we were still dating. You can still get one here. 2. As you can see I am a big fan of Ebay…I bought my Juicy Sunnies when they were brand new from the Juicy store, probably 8 years ago. About 4 years ago I lost them and was super sad because it is hard to find Sunglasses with a good fit for my teeny head…so I went on Ebay and bought the same exact pair…only me, I know! Now it’s coming time for replacement again….and I CANT FIND THEM! 🙁 Still unsure what I will do! 6. Bath and Body Works Hand sanitizer…see number 5! 8. A toy…Freddie the Firefly is our favorite right now because it is black and white on the back and Hallie loves the contrast. 9. 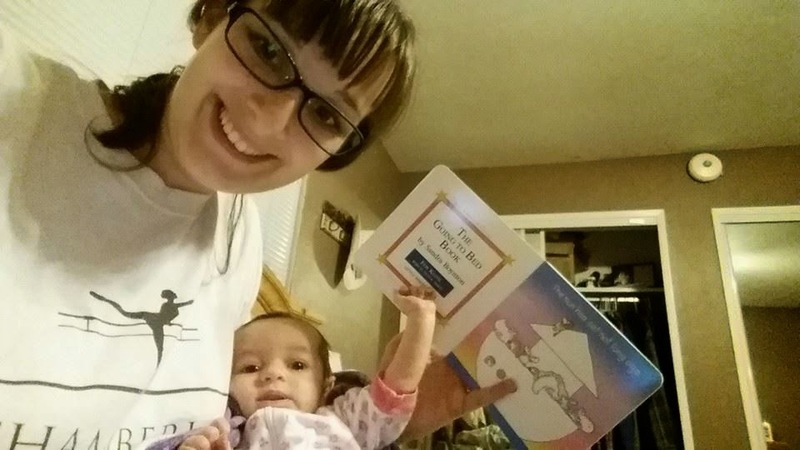 A book…My girls at work just love to read to Hallie, so I always have a book on hand. Love this Sandra Boynton one….love everything she writes! 10. 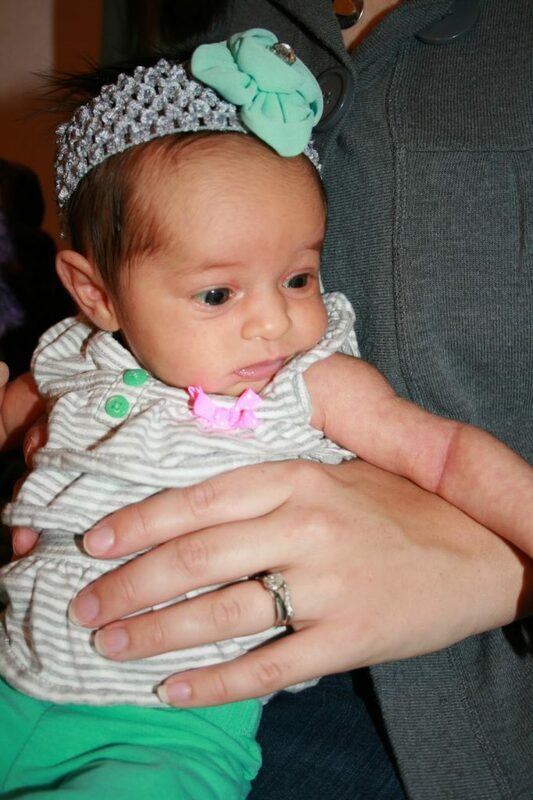 A burp cloth…this cute one was made by one of our friends. 11. paci wipes…Hallie is really good at projectile spitting her pacifier across the room onto the floor. 12. 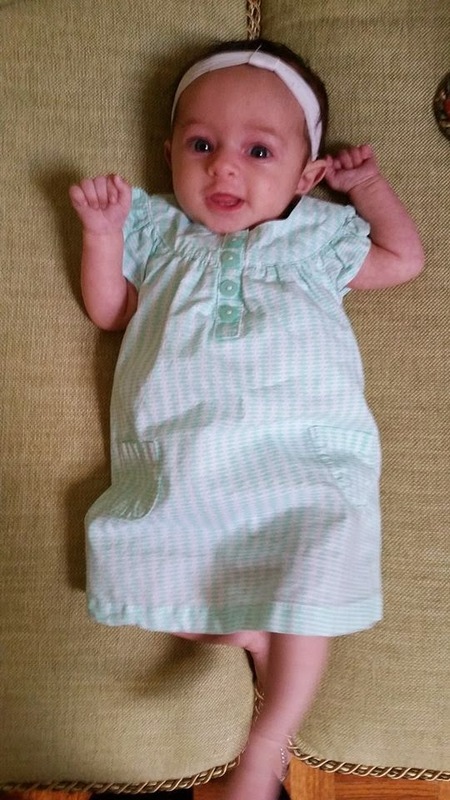 A spare newborn onesie…yes…my tiny little baby is still in Newborn clothes and probably will be forever! This one is from an adorable 5 pack from Dillards! So cute! 13. 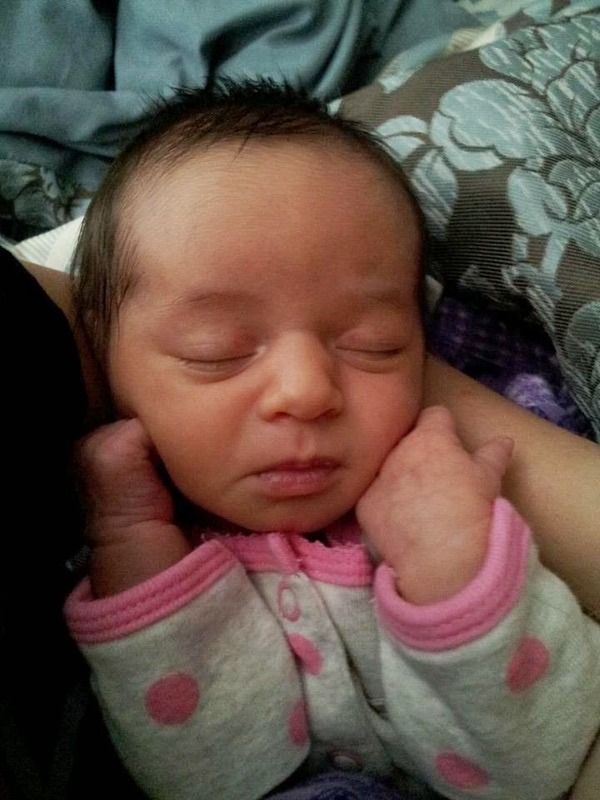 Little Tummies Gas Drops…my poor baby has the worst gassy tummy! 14. If you are an avid reader of my Blog or know me well, you know I have an emotional attachment to my planner…and if you are a crazy organizer like me, you MUST HAVE THIS PLANNER! 21. Spare Pacis…These are the only ones Hallie will take…despite all the cute ones I bought and was given. Can you believe all of that fit in my bag?! What’s in your bag. Tell me or show me in the comments! We had such a great weekend, despite the beginning being a little sad. We went to my Nana’s Viewing and though sad, it was lovely. 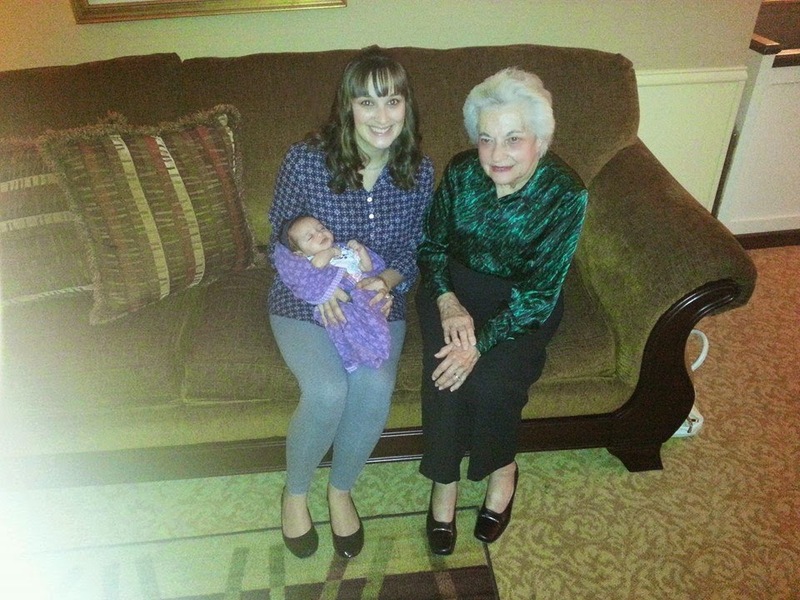 Hallie got to meet my Great Aunt Paula, Nana’s sister. She is one of my favorite ladies ever! Christopher and I ran around the house frantically packing for our trip to Houston, since we had to be at the Church for my grandmother’s funeral early. The funeral was lovely and it was the first time all of the cousins on my mother’s side were in the same room! Christopher and I high tailed it to Houston and made it in time to have dinner with his mom. She and I had a much needed margarita! Then we went to Christopher’s sweet Aunt Melissa’s house to stay for the rest of the weekend. They are always so sweet and accommodating! 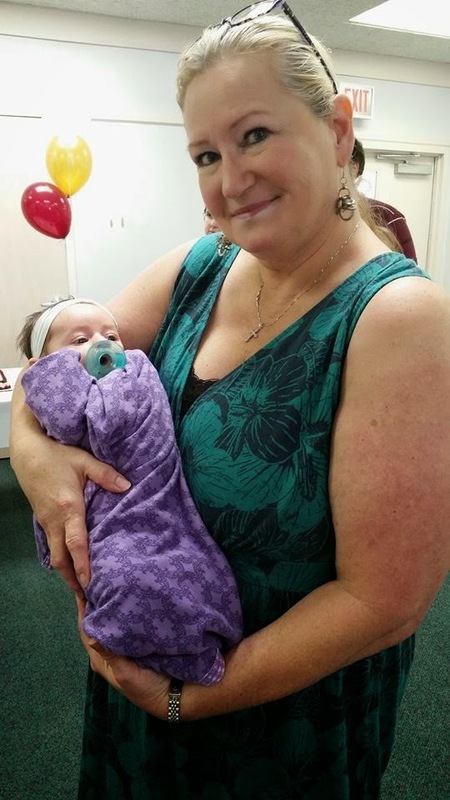 Christopher’s Mom and Aunts planned an adorable party to celebrate him getting his Masters and for all of the Houston family (Millers/Mocks) to meet little Hallie. This Carter’s Fish Print Dress is available Here! The party was so wonderful! Hallie got to meet Christopher’s aunts, uncles, cousins, cousin’s little kids and Grandma and Grandpa Mock! So much fun!!! 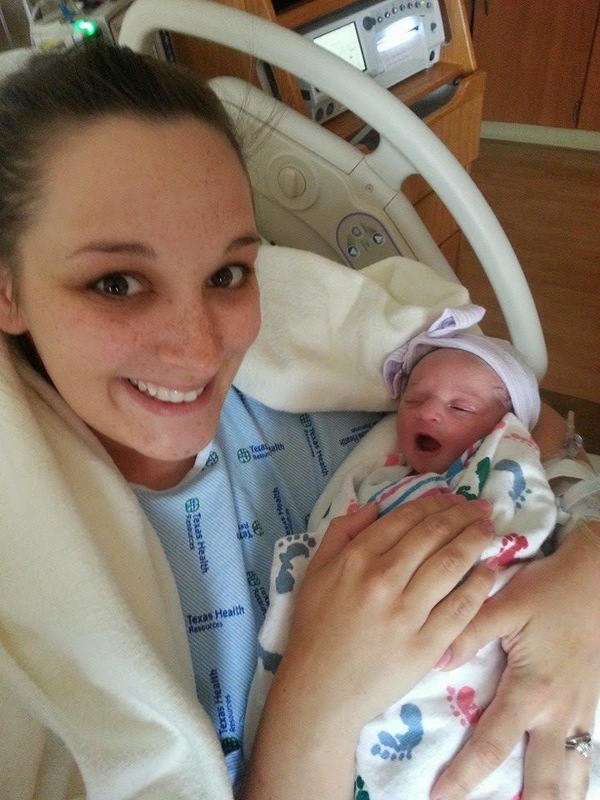 Hallie is the first Mock Grand-baby to be born with the Mock name, so it was extra special! 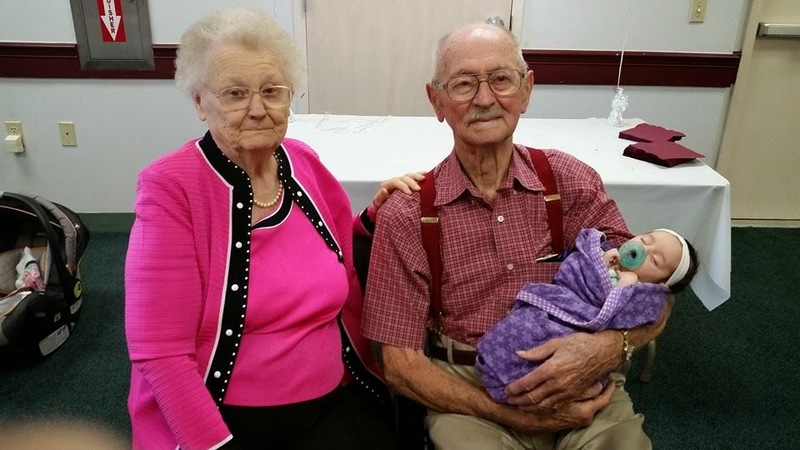 Hallie with Grandma and Grandpa Mock, Grandpa loved her! 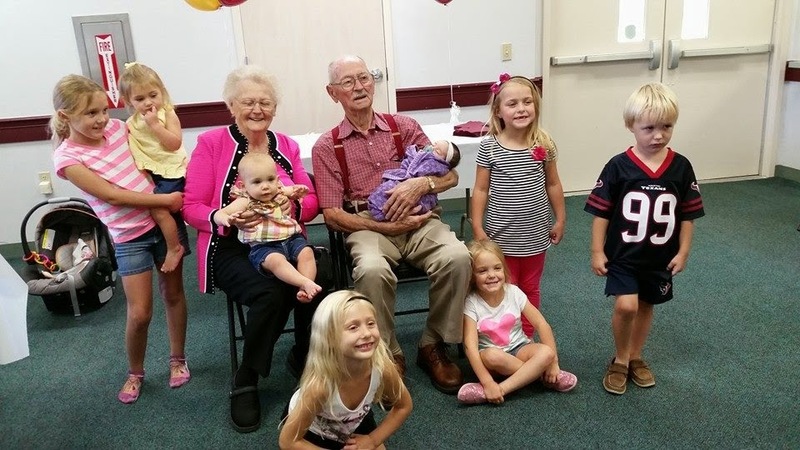 Here is Hallie with Grandpa, Grandma some of the other great grandchildren! 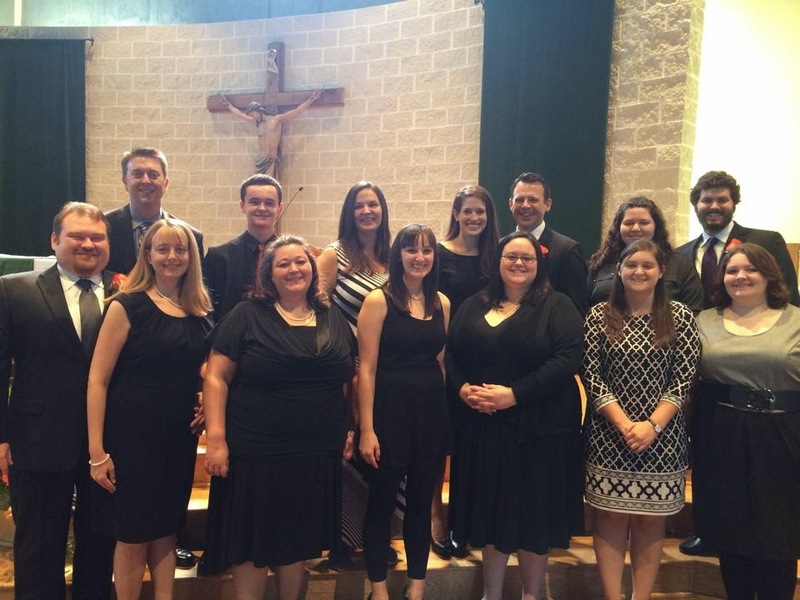 (Hallie is the only brunette here, but there are only 3 brunette great grandchildren of the 12! After the fun party we went back to Melissa’s house and had a little cookout with some of the Millers! It was such a fun way to end such a great visit! Wish we could visit more! The Many Faces of Hallie-O-tay! I think someone wants to watch The Little Rascals! 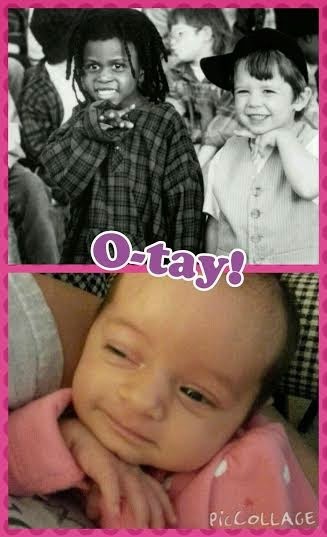 Does your little one make funny faces? Would love to see some! Share with me! 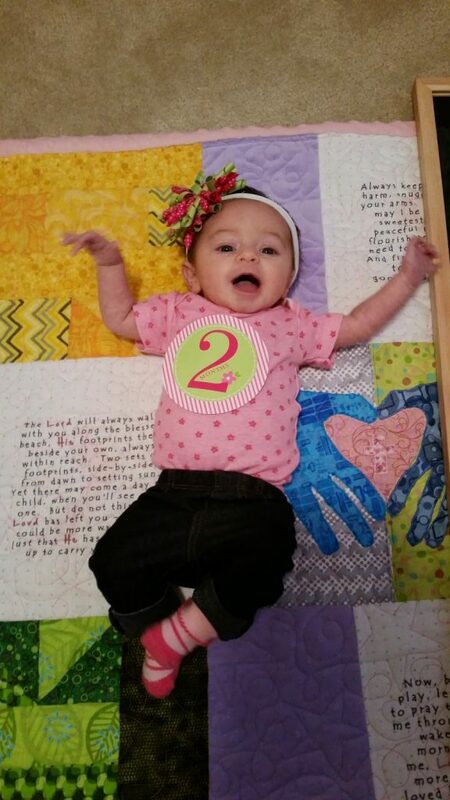 Hallie Anne is 2 months old today! 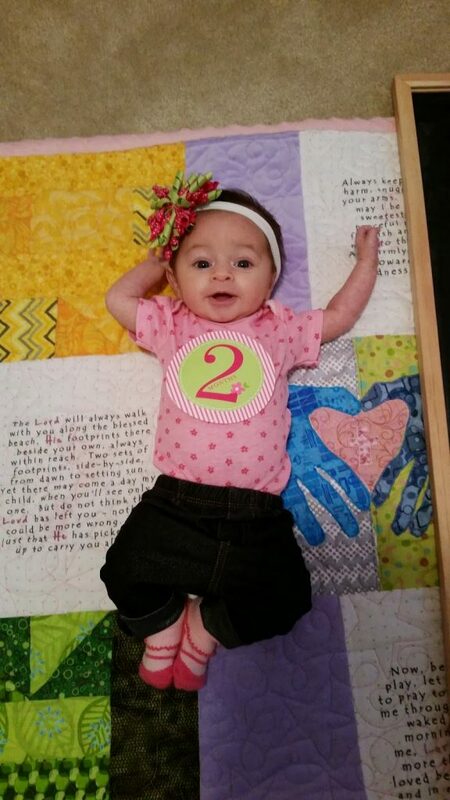 I cannot believe my baby girl is 2 months old! 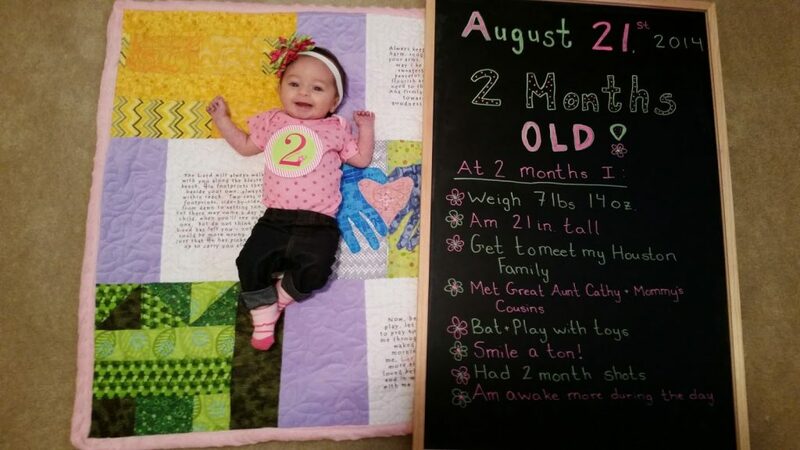 She is getting so big and so smart each day! She is constantly learning and I am always amazed at the things she can do! 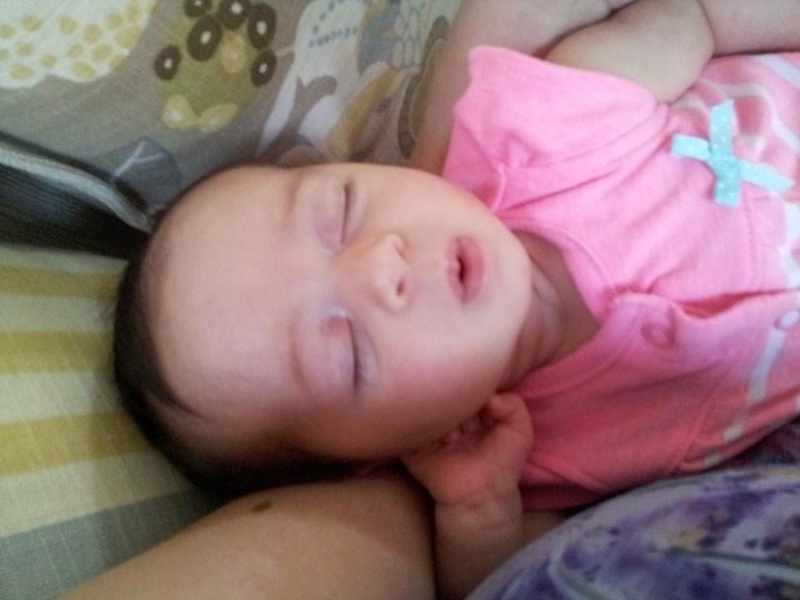 Her neck is so strong, and she can hold her head up for almost a whole minute during tummy time! She coos and squeals and talks to her toys! She is beautiful and I still can’t believe she is mine! We are heading to Houston this weekend for Hallie to meet Christopher’s Grandparents and his family there and couldn’t be more excited! 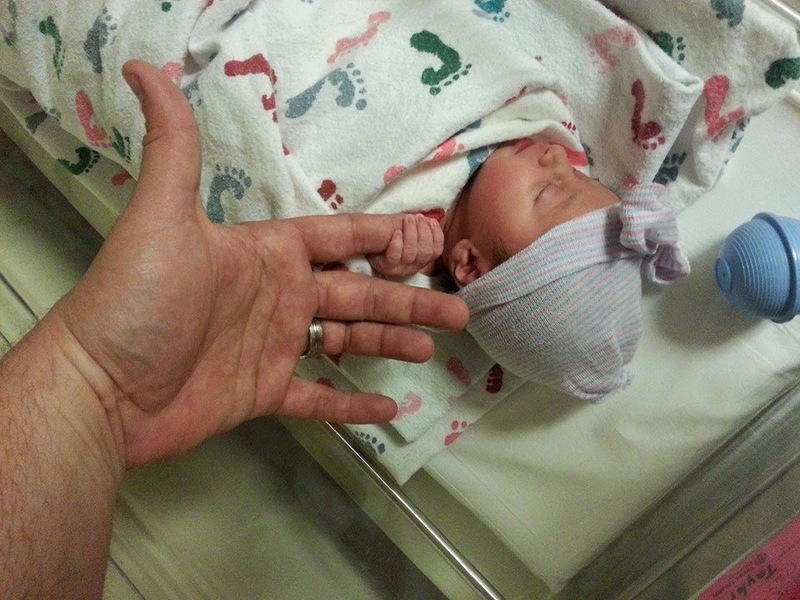 Can’t wait to share pictures of her with her cousins! 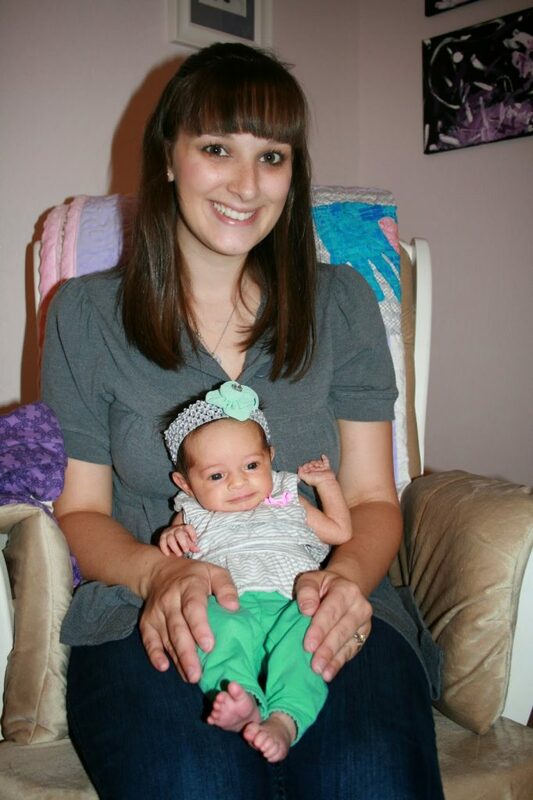 I was approached yesterday by one of my favorite fellow bloggers/new mommies. (http://www.katiedidwhat.com/ if you haven’t read it, do! She’s awesome!) 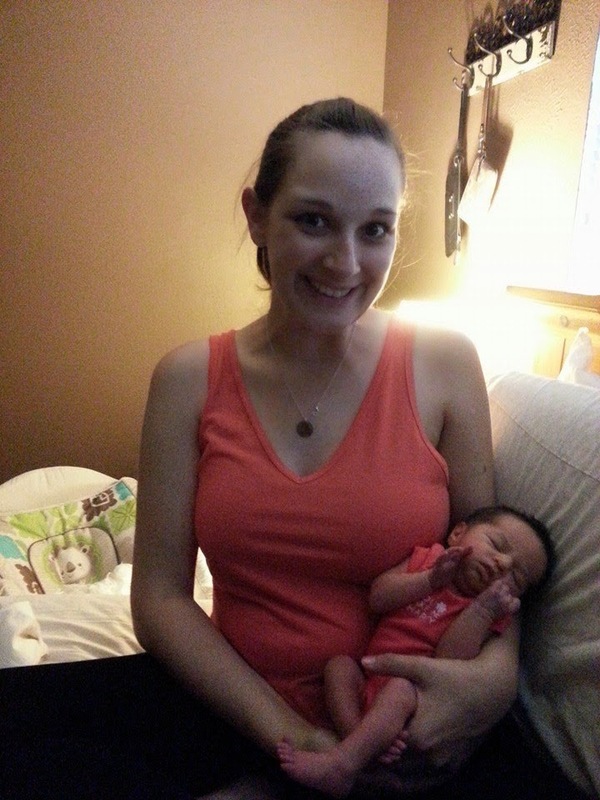 She is writing an article about new moms and asked some fellow bloggers to give her experiences and thoughts we have as new Moms. 1. I have never felt more love for my husband than the moment I saw him first hold our daughter. That love grows continually each time I see him cuddle her or play with her. 2. 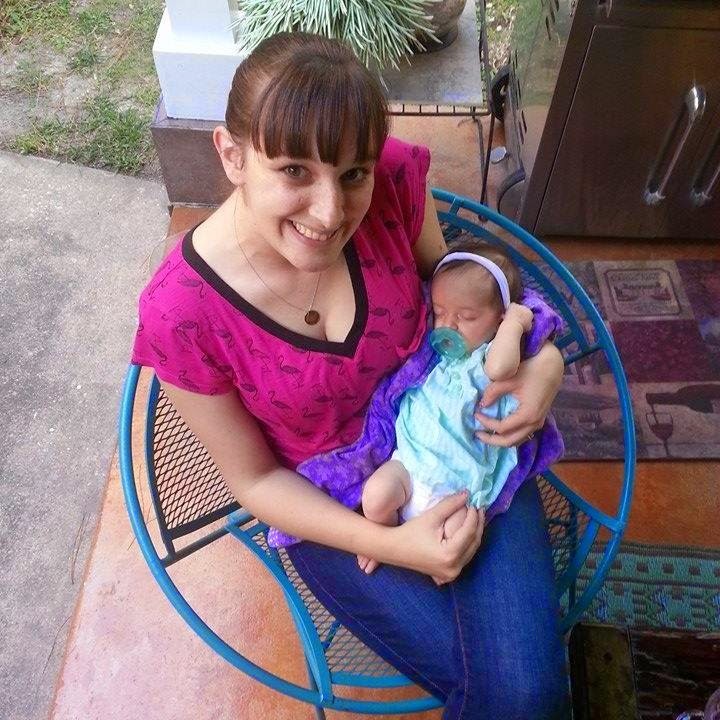 Somehow my daughter is always cute as a button aimmaculately dressed and most days I’m a hot mess. 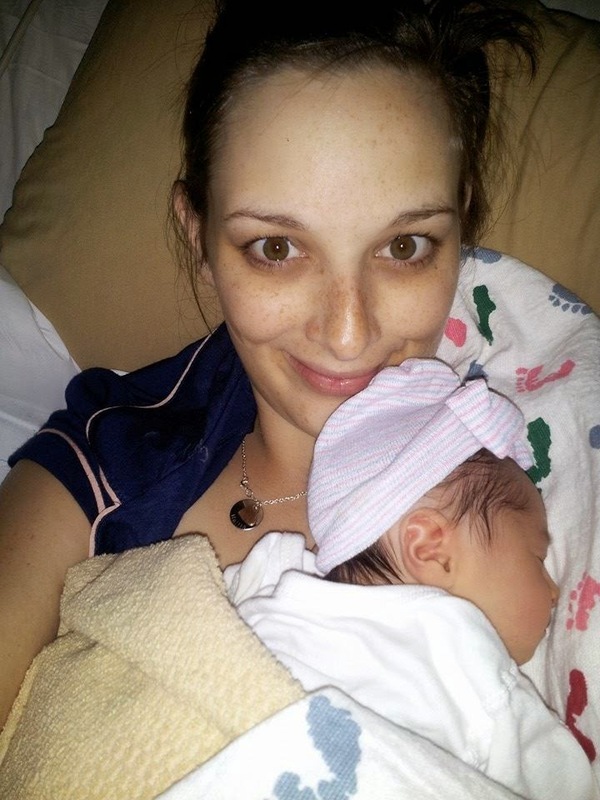 ..sweats, a pony and no makeup is my usual mommy uniform, though it’s hard to care when I look into my daughter’s eyes. 4. I never slept while she slept except at night… mostly because I couldn’t stop staring at her. 5. At the end of “How the Grinch Stole Christmas” when the Grinch’s heart grows 3 sizes, that’s how I felt when I saw my daughter. I’ve never experienced this kind of love before. 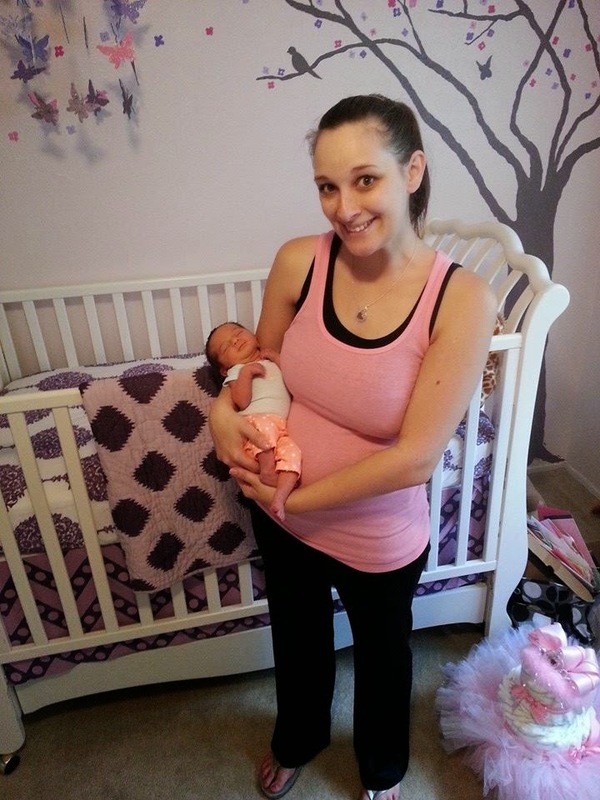 What are your thoughts about being a mommy? The world lost a beautiful and incredible woman last week. 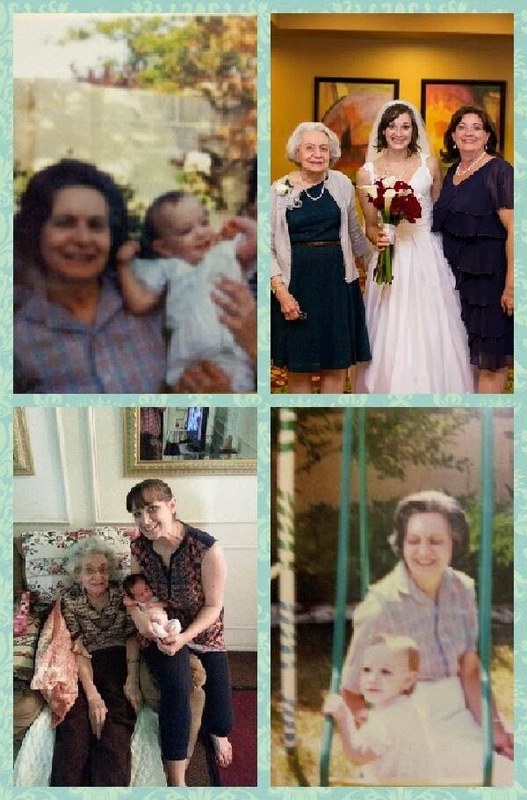 My sweet Nana was sent to heaven last Thursday. I will always remember her as someone kind and funny! She was a wonderful cook and gardener! She had so many talents and taught me so much! Visiting her from El Paso (where I lived as a child) each Summer. She took me to swimming lessons and I got to help her in her garden and in the kitchen. She used to tie up my hair in ribbons and brush it at night before bed. She would tell me to take off my head before I went to sleep at night and I wouldn’t wake up with tangles…ha! What seemed strange to me as a child I now see as witty and adorable! She was always so funny! She made homemade salad dressing, pasta sauce, chicken noodle soup, chicken cutlets, cream puffs and so many more delicious recipes that as hard as I try to imitate, will never taste the same. She through the BEST Christmas parties! The tree was trimmed perfectly and the dinner was fabulous! Her Christmas cookies were the best I’d ever tasted! She would dip my cinnamon toast in her coffee. 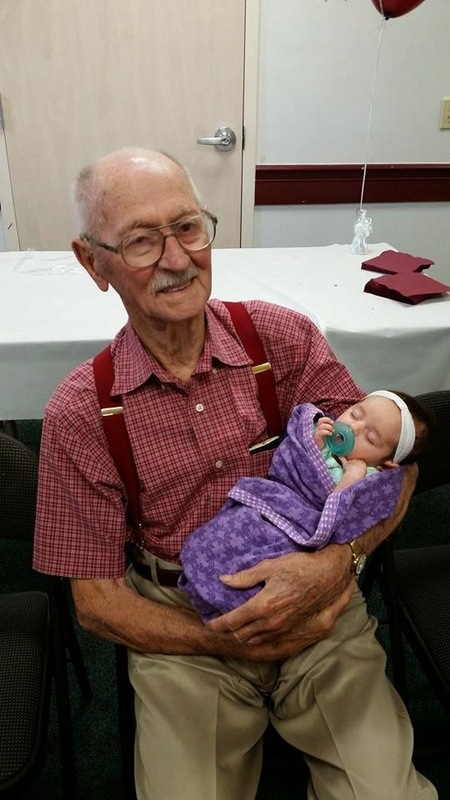 Now to leave you with my favorite Nana story! Nana was always a sweet lady, but she did have her feisty moments! One of her favorite phrases to use when someone upset her was “I’ll give them a shot in the head!” This was of course hysterical coming from a barely 5 ft. skinny grandma. This story is super hilarious to me given that my Nana not only adored Christopher, but also because Christopher is 6ft.7in, and towered over my adorable Nana! 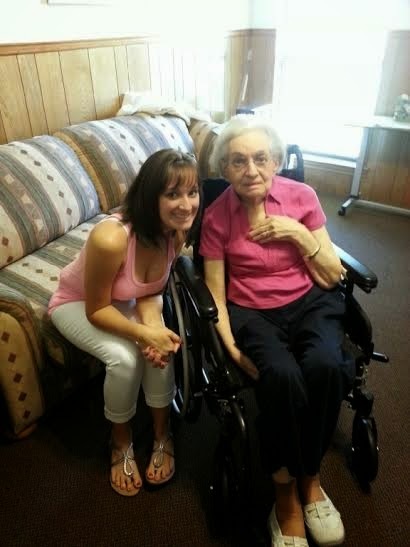 Everyone who knew Nana loved her, and I know most of this post wont make sense to those who never got the pleasure of meeting her, but to those of you who did, you know she was a special lady! I will miss her every day! Nana, thank you for teaching me so much! I love you, and will see you again one day! 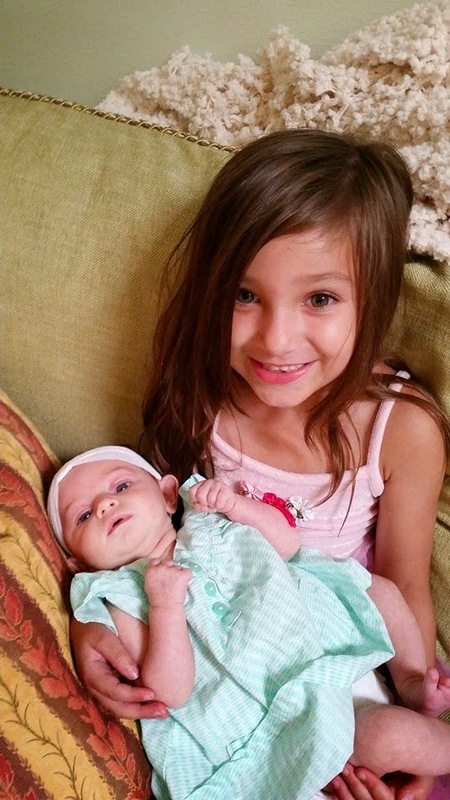 This coming Monday, my little girls will be going back to school! This is actually the first year that I won’t be going back myself, which is exciting, however I will miss my favorite thing ever….BUYING SCHOOL SUPPLIES! For this Must Have Monday, I thought I would share some of the items that help keep me organized as a busy Mommy and Nanny! 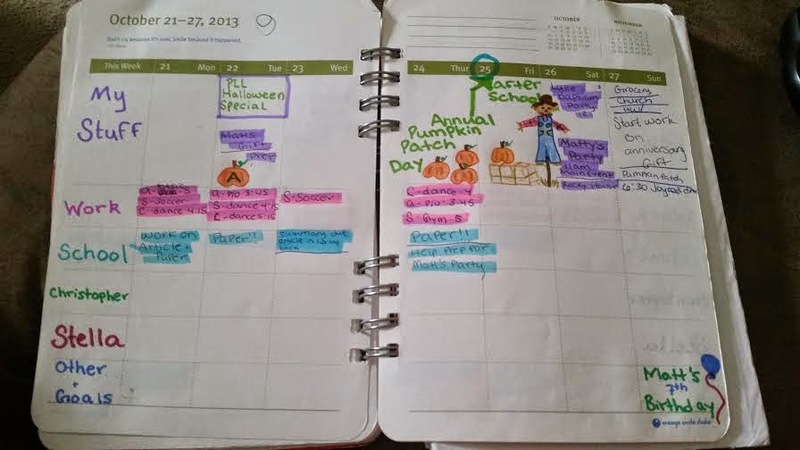 My first and probably most important organizational tool is my CANT LIVE WITHOUT planner! 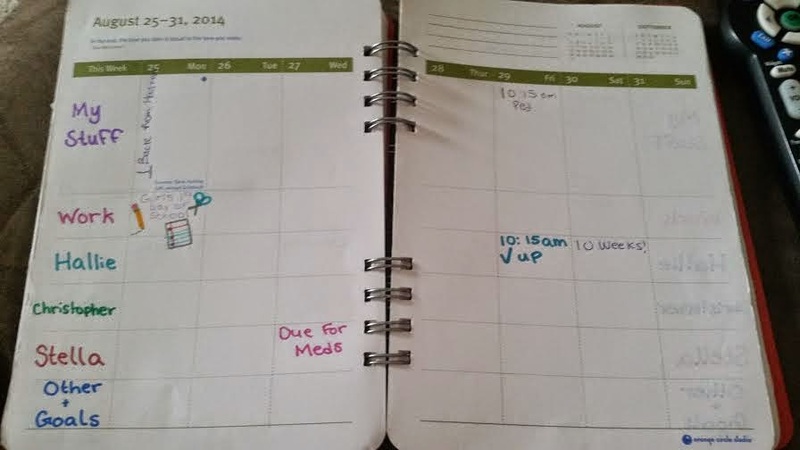 I love this planer because it has a grid with large boxes for me to fill in what is planned for me and the members of my family for each day of the week. I can keep my personal life, work, and Hallie and Christopher’s schedules all in one place and my planner isn’t a huge mess! Also I can color code it, which is huge for me as you can see! Prepping for back to school this year! 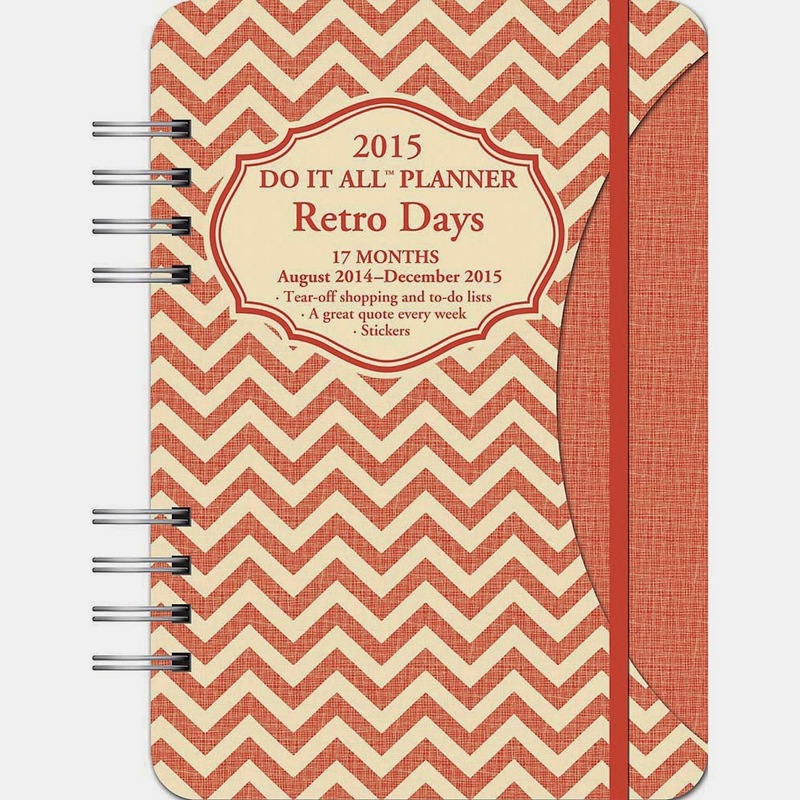 You can find the Do It All Planner, here! I am IN LOVE with my diaper bag! It isn’t a brand new Coach, but I had to have this one because it had my signature color (PURPLE) on it, and it has LOTS and LOTS of pockets! 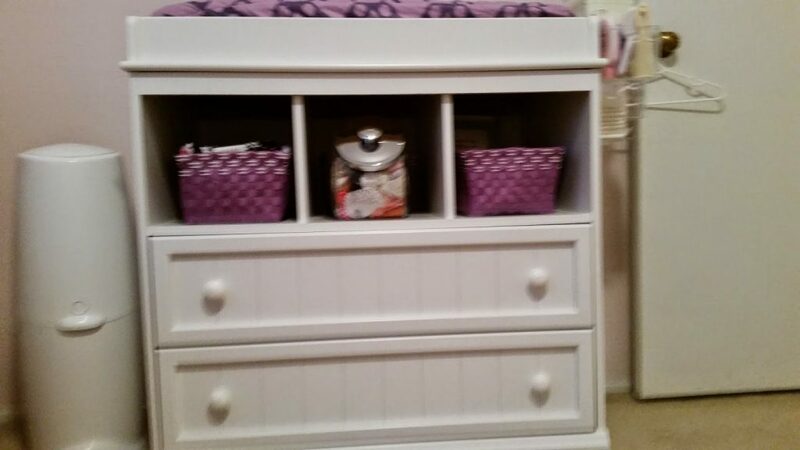 It is perfect for a Mom/Nanny to keep each kids things organized! 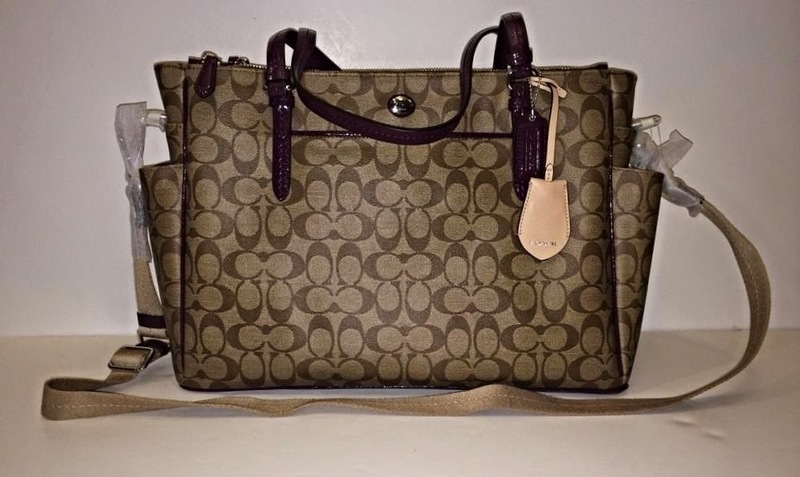 I found it on Ebay and had a friend check with her buddy who works for Coach to make sure it was authentic and Christopher bought it for my birthday about a month before Hallie was born! (for almost 1/2 off the price of a brand new one, might I add! This one is still for sale on Ebay here! 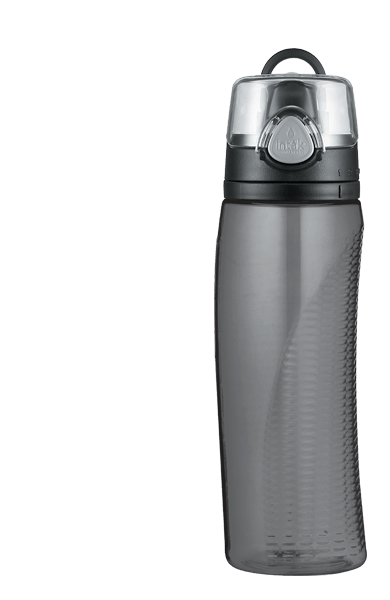 My last favorite tool, isn’t quite an organizational tool, but PERFECT for the busy Mom/Nanny on the go, is the Thermos Intak Water bottle. I have a hard time remembering to drink water, but this little baby is soo helpful with that! It has a dial under the lid that keeps track of how many times you have filled up the bottle during the day. It was also great when I was nursing! You can find these amazing water bottles here! I hope everyone had a great weekend! Is everyone done preparing for back to school? What are some of your favorite back to school or organizational tools?